Home / Righteous Reviews / Website Wonders / Buying Home In Florida, Get Your Loans Sorted With Associate Home Loans. Owning your house is always a necessity and more than necessity its a bliss. A very dear friend of mine, Ms. R, and Mr. P are working in Florida for more than a decade now. They are settled there with amazing job profile and perfect schooling for their darling daughter. As life is treating them good there and with more amazing opportunities knocking their door in near future, they decided to buy their own abode in beautiful city Orlando. So their quest for perfect home begins. With all house made with architectural accuracy, they found their dream home pretty soon and Ms. R started planning the ways to decor their new abode and Mr. P, start looking for loans and got busy in getting other formalities done. That’s when the perfect situation slips out of hands. With few more luxuries and a few more small loans, they have a bad credit to get the big house loan approved. So their less than great credit score was holding them back, and Mr. P was very worried about it. This is when he got to know about Associate Home Loans and bad credit loans they provide and they claim, When it comes to qualifying for a home loan, bad credit doesn’t have to hold you back. Making smart moves while making decisions related to finance is important to improve your credit score is important but with AHL it won’t stop you from building your dream abode. He opted for Nonconventional loans which are indeed a great option for many clients because they feature low down payments and have flexible approval requirements. This insurance encourages lenders to approve a wider range of clients, including those with bad credit. AHL can approve clients for FHA loans with scores as low as 580 (with 3.5% down payment) or 500 (with 10% down payment). And with AHL, they brought his dream abode in Orlando, Florida. Associate Home Loans is a Mortgage Brokerage Firm & Hard Money Lender Different and they are definitely different from others and specialize in alternative lending resources and flexible underwriting guidelines. Associate home loans were created to help those individuals to obtain mortgage financing who had struggled with problems such as bankruptcy, foreclosure, and loss of income due to circumstance beyond their control. Private Lending which consists of individuals providing funding to borrowers, with loans being secured by a deed of trust that is recorded against the property of a borrower. Hard Money Loans is a specific type of financing in which a borrower receives funds based mainly on the value/equity of the real estate. Bad Credit Loans which assure when it comes to qualifying for a home loan, bad credit doesn’t have to hold you back. You do not have to wait to start your life until it improves. 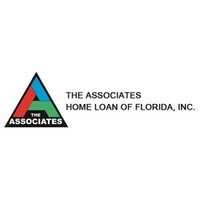 So, All Florida peeps out there, if u are looking for home loans in Florida, Associate Home Loans is your destination and answer for all home loans related questions. smooth transition and a stressful experience is everyone;s need. This is really a helpful article.. Saving money to a buy a house is always sound good. this is a great read and very informative for people looking to relocate to Florida. A bad credit loan can really come down heavily on your dream of the perfect house. I am glad that Florida has The Associates Home Loans for such people too . Buying own house is a dream of all family. But yes sometimes we have to keep things on hold due to bad credit score. So its great to know that they are not checking it. So getting loan will become more easy. 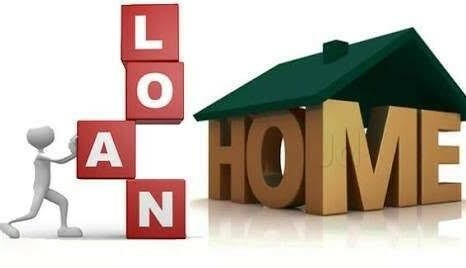 A bad loan or a mismanagement of finances can be a big mess especially if it concerns home loans. Thanks for this informative post. Wow that’s a nice info buying a home is everyone’s dream . A bad credit score is the main problem in that. So this is the best option. Buying a house is like owning a dream, this post will help everyone staying in Florida n planning to buy their dream house.